Henry Holt and Co. (BYR), 9781627797580, 288pp. Based on historical events, this unforgettable and inspiring tale for middle-grade readers is about a young boy torn from the only life he’s ever known and held captive as a prisoner of war. In 1982, twelve-year-old Reza has no interest in joining Iran’s war effort against Iraq. But in the wake of a tragedy and at his mother’s urging, he decides to enlist, assured by the authorities that he will achieve paradise should he die in service to his country. War does not bring the glory the boys of Iran have been promised, and Reza soon finds himself held in a prisoner-of-war camp in Iraq, where the guards not only threaten violence—they act upon it. Will Reza make it out alive? And if he does, will he even have a home to return to? Friendship, heartbreak, and Reza’s very survival are at stake as he finds solace through music and forges his own path—wherever that might take him. 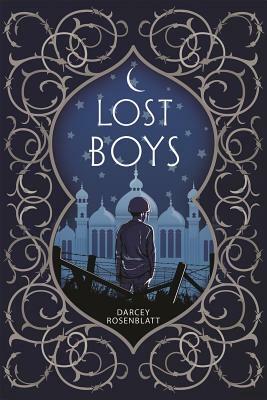 Darcey Rosenblatt is the author of Lost Boys. She's a cofounder of the Better Books Workshop for middle grade and young adult writers, and she loves dancing and painting. She lives in San Francisco.